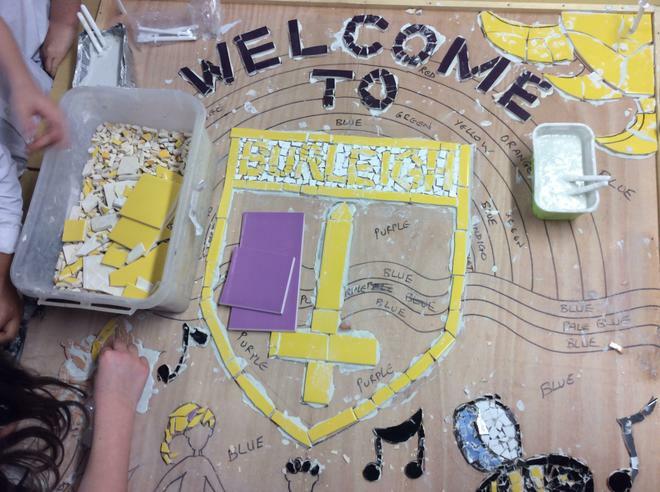 Today has been a very special day here at Burleigh. 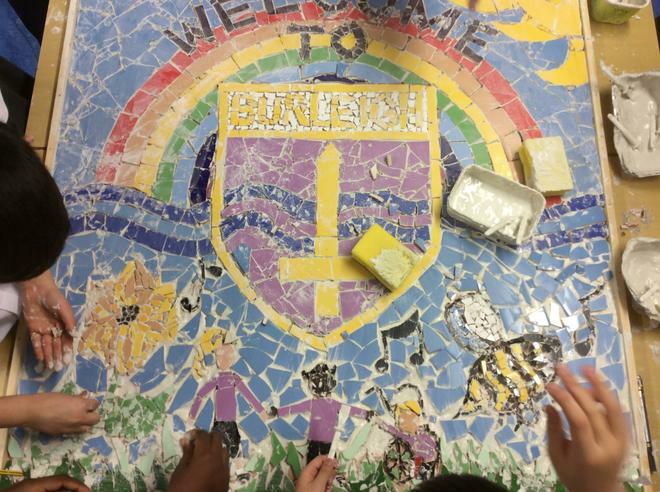 The children have been making a Mosaic for us to hang in our reception area. 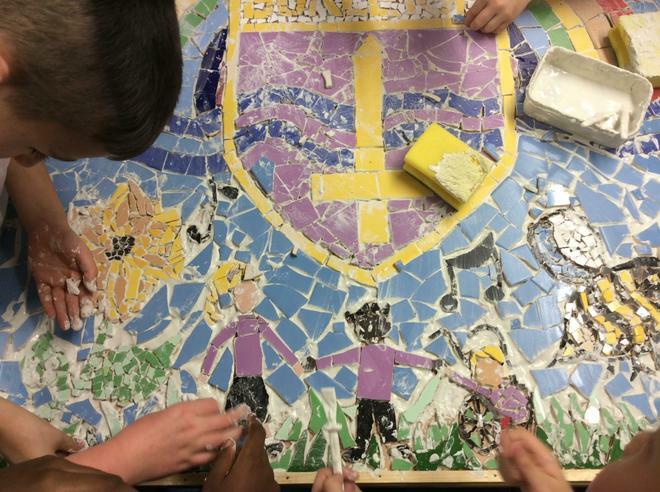 The school council helped with the design and year 4 were all involved in the making of the finished product. 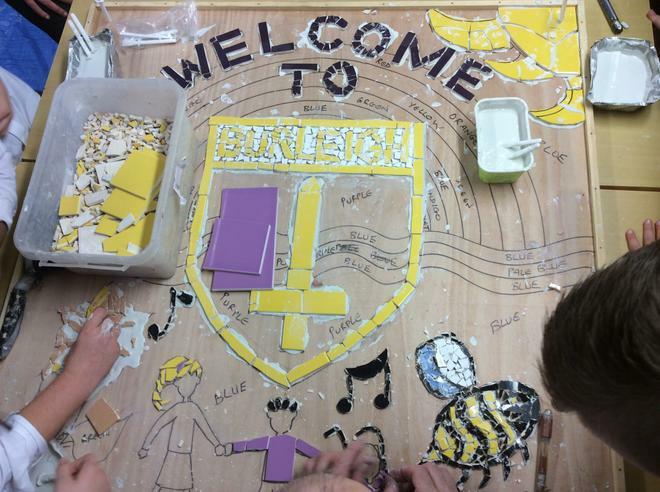 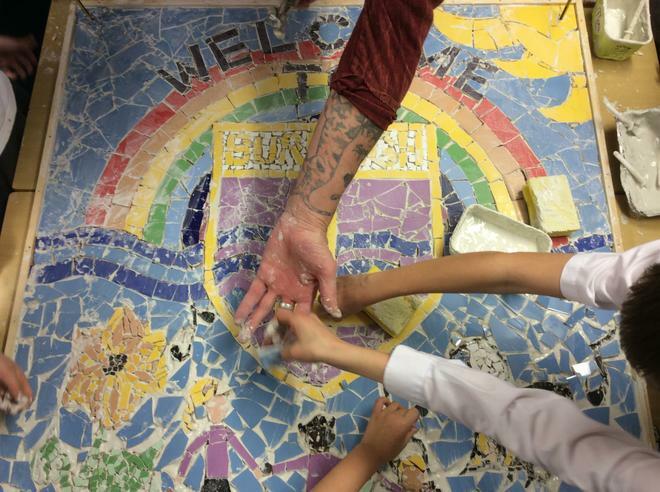 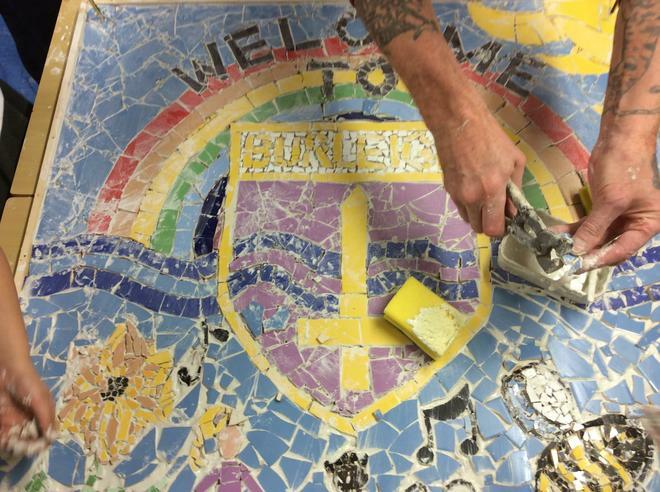 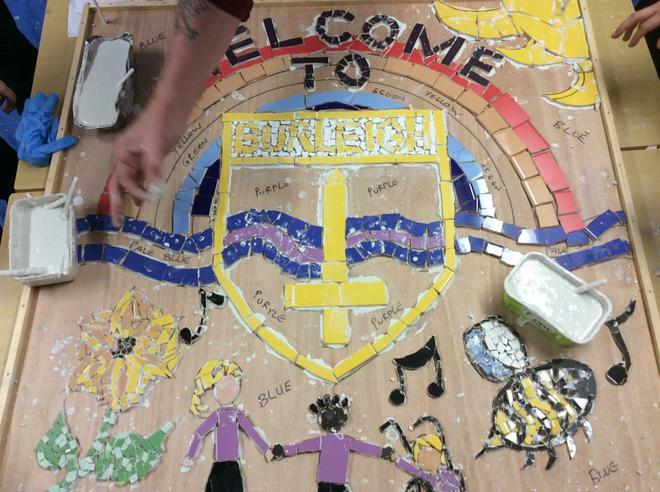 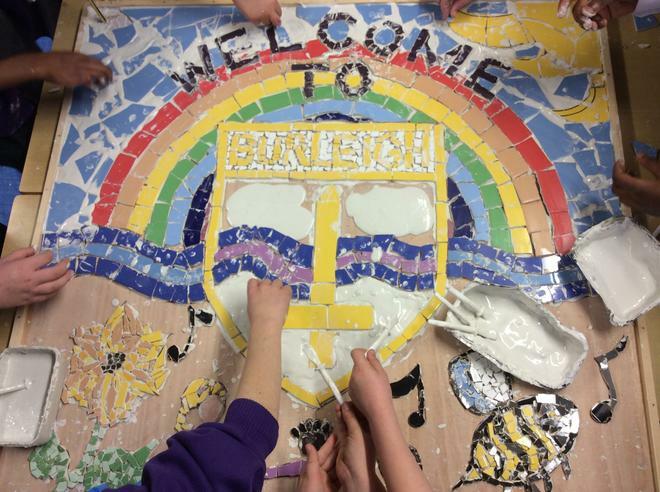 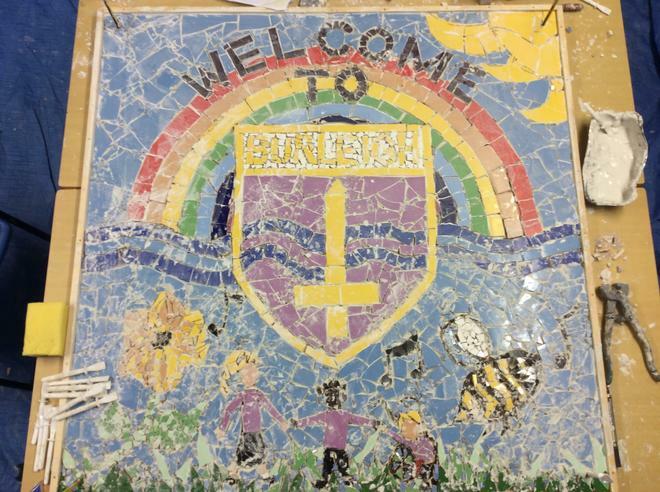 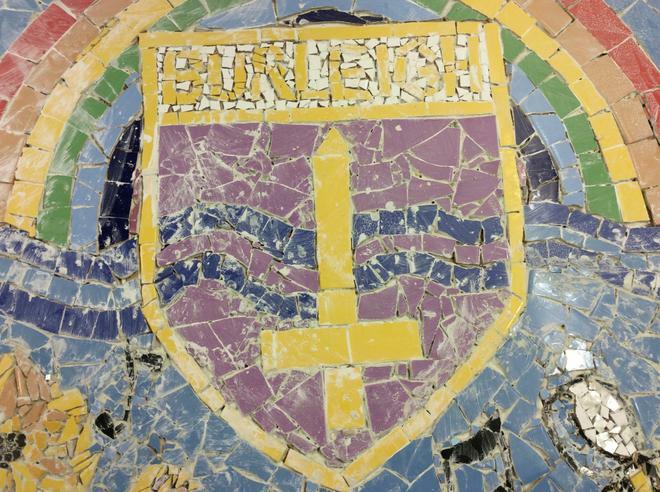 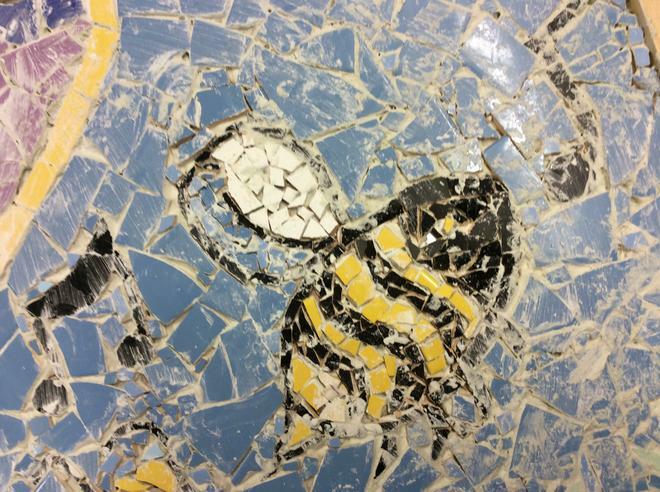 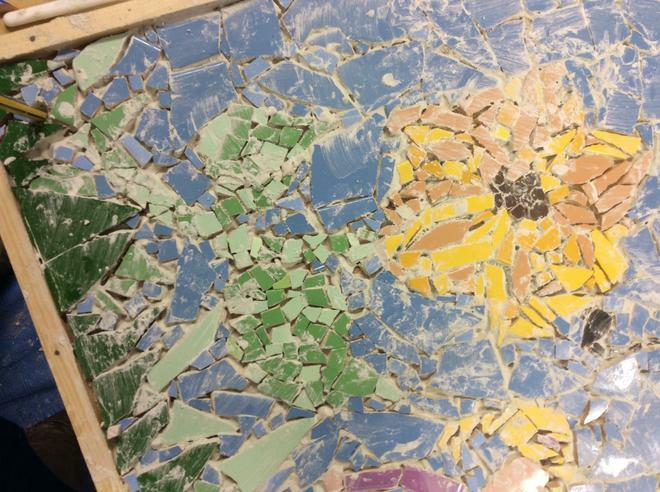 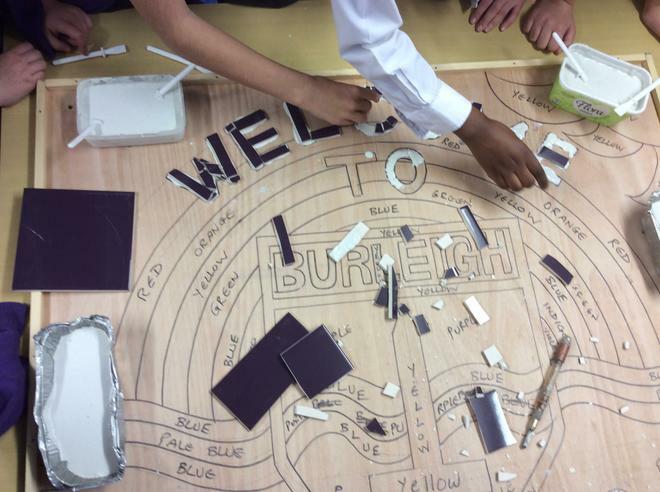 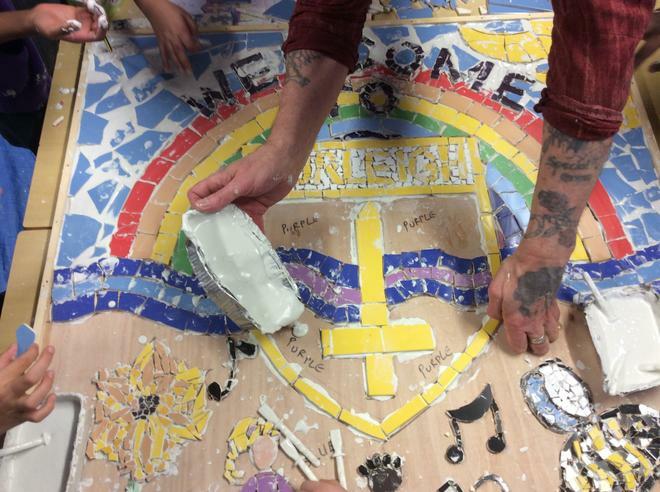 We have taken photos of the Mosaic so far and there will be updates tomorrow with the finished masterpiece. 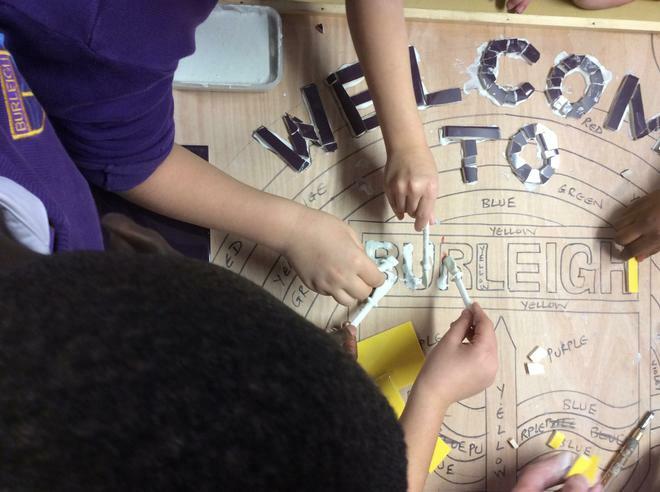 Thank you to Primary Workshops for helping us bring our ideas to life.